Product prices and availability are accurate as of 2019-04-20 22:38:24 UTC and are subject to change. Any price and availability information displayed on http://www.amazon.co.uk/ at the time of purchase will apply to the purchase of this product. The Single Malt Whiskey Store are delighted to offer the famous The Balvenie Tasting Collection, 3 x 5 cl. With so many on offer right now, it is great to have a make you can recognise. 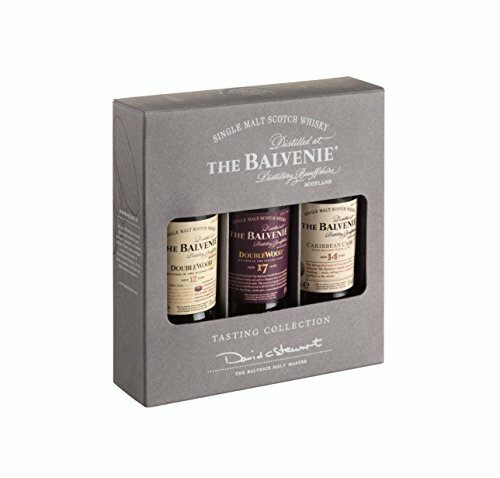 The The Balvenie Tasting Collection, 3 x 5 cl is certainly that and will be a great acquisition. 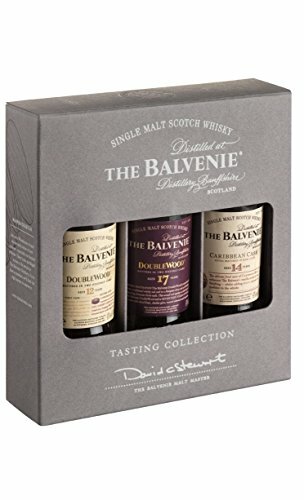 For this great price, the The Balvenie Tasting Collection, 3 x 5 cl is widely respected and is always a regular choice with most people. Balvenie have included some great touches and this results in good value. 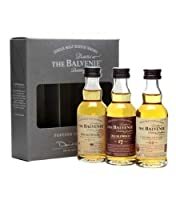 THE BALVENIE is a range of single malts crafted by Malt Master David Stewart. Each expression is unique, but all are rich, luxuriously smooth and underpinned by a distinctive honeyed character. Understanding his craft like few others, David uses different cask types and ages of spirit, to develop exquisite, new interpretations of The Balvenie's classic character. 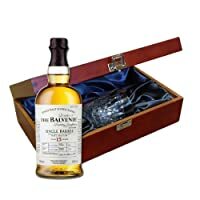 The Balvenie DoubleWood is a 12 year old single malt which gains its distinctive character from being matured in two wood types. Over the period of maturation it is transferred from a traditional oak whisky cask to a first fill European oak sherry cask. Each stage lends different qualities to the resulting single malt ~ the traditional casks soften and add character, whilst the sherry wood brings depth and fullness of flavour. Caribbean Cask has been matured in traditional oak whisky casks for 14 years, and then 'finished' in casks that previously held Caribbean rum.To create the ideal finish Malt Master David Stewart, filled American oak casks with his own blend of select West Indian rums. When he judged the casks to be ready, the rum was replaced with the 14 year old spirit and the wood was put to work adding the final touches. 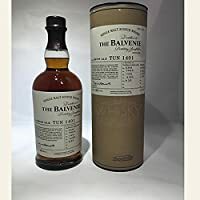 The result is an exceptional single malt whisky with the traditional smooth, honeyed character of The Balvenie, married with notes of toffee and a hint of fruit, with a warm, lingering finish. To craft DoubleWood 17 Year Old Malt Master David Stewart, who celebrated his 50th year at The Balvenie in 2012, returned to one of his most celebrated achievements - consecutive maturation in two different types of cask, a process often referred to as 'cask finishing'. This technique is at the heart of The Balvenie DoubleWood - it sees the whisky matured first in American oak barrels, which impart soft sweet vanilla notes, before being transferred to European oak sherry casks, where the second cask ageing adds rich spicy flavours and a depth and fullness of flavour. The DoubleWood 17 Year Old is an elder sibling to DoubleWood 12 Year Old and shares its honeyed, spicy characteristics, but it is distinctly different, with deeper vanilla notes, hints of green apple, creamy toffee and a striking richness and complexity.